Ever since I started blogging and working from home in 2007, aside from the many issues we’ve had with unreliable internet providers, there’s also this challenge of access to my files, since I was plenty limited by the capacity of my flash drive when I’m mobile. My 1TB hard drive isn’t exactly too handy to lug around with. While Dropbox might have been around since 2007, it wasn’t until late 2009 when I signed up and even then the 10GB cap on files transferred via the website is just not enough. Fast forward to 7 years, our local internet providers haven’t really changed a great deal. It has become so frustrating that as I come to think of it, we have actually shifted to 5 different internet provider since. Of course, that’s always with the hope that the recent one is better than the former. ISPs have become so unreliable that we actually have to subscribe to 2 providers until now for back up reason. Both issues that are prevalent for a blogging family like ours were pretty much addressed in the EnGenius launch I attended last week. 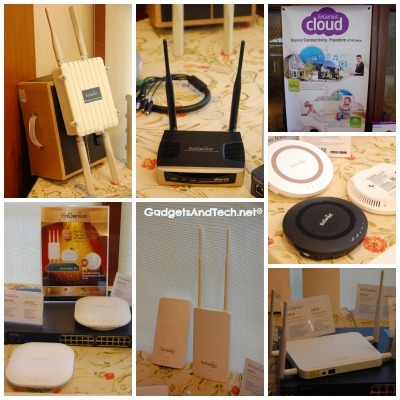 The Taiwanese nationals introduced EnGenius Intelligent Platform for Extending Home Network Resources. True to their name, the innovations that they have come up with are very impressive.